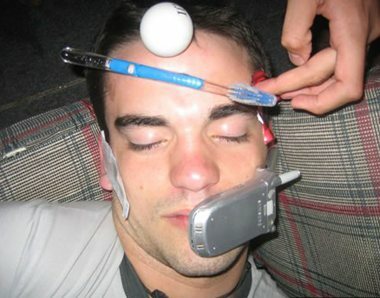 who has passed out and his friends used SuperGlue to attach things to his head. Most shaming pics are stupid, but this one is fairly clever. That poor guy! I hope he has a good sense of humor. Yikes!